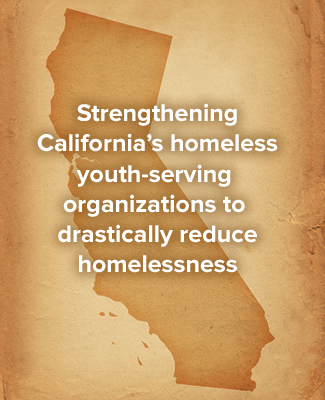 During 2010-11, the Homeless Youth Capacity Building Project provided over 500 hours of individual technical assistance and coaching to 51 organizations across seven California counties. HYCBP staff worked with organizations to strengthen their capacities in one or more of the following categories: Collaboration and community engagement, evaluation of effectiveness, leadership development, organizational development and program development. Examples of technical assistance provided includes: board and staff training, executive coaching, succession planning, policies and procedures development, creation of fundraising plans and materials, development of evaluation plans, and facilitation of collaborative efforts across organizations and programs.